Like any other wine region in Portugal, Bairrada is a place where extraordinary good wine and food are everywhere, which also has a light and a color that inspires romance. The blurred light, the green tones through the foliage of a resplendent forest that inspires poets, painters and lovers... Either you are visiting the north, the center or the south, Portugal is truly a place for Romance, since it has been inspiring it for ages! This Region in particular manifests its cultural uniqueness through flavorful amazing typical dishes and desserts, like the famous Bairrada style roasted piglet and Santa Clara Pastry, and off course, top quality wines, but mostly through its rich historical heritage, and captivating tragic love stories of ancient Portuguese Kings and Queens. 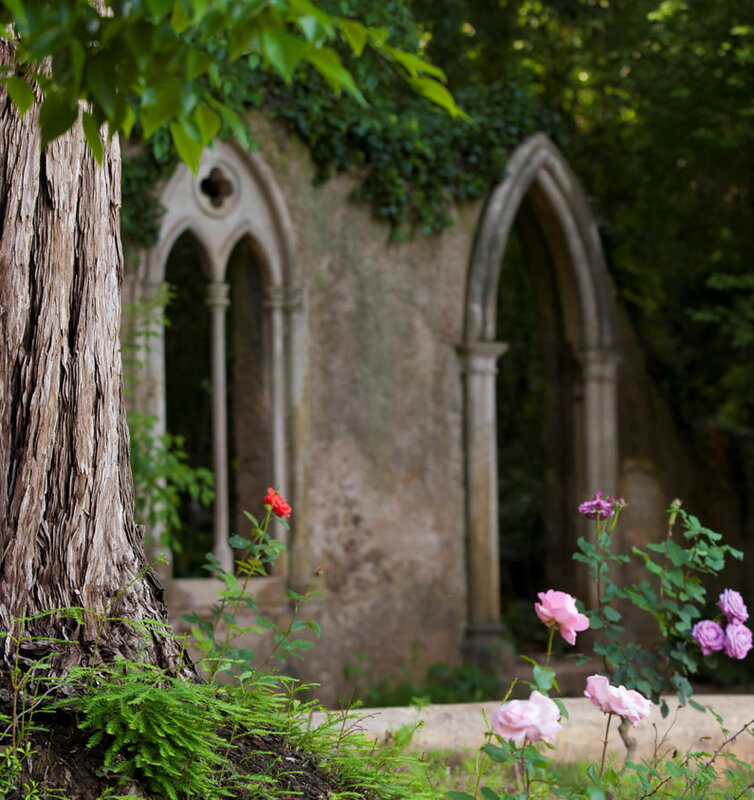 So it is not surprising that a journey to Bairrada is able to truly transport you into the middle of several epic historical movies in just 4 Days! 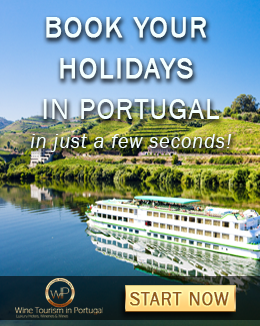 Wine Tourism in Portugal recently launched an Exclusive Tour that combines an immersion in the fascinating universe of the most renowned wines of the Bairrada and fascinating time travel to the golden era of ancient civilizations, as well as to a great 14th century love legend that marked the essence and culture of the region. It is especially interesting for incurable romantic people or for a couple who is completely in love, but all adventurous travelers that cannot resist unveiling the details of a culture's history will most certainly also fall in love with this tour! The region of Bairrada was a land of conquerors, of fights between Christians and Arabs, early in the formation of Portugal, when the capital of the kingdom was Coimbra and the path was towards south. It was also a land defending the independence, threatened by the invading armies of Napoleon, held at Bussaco. Every stop in this tour's itinerary exudes historic magnificence... 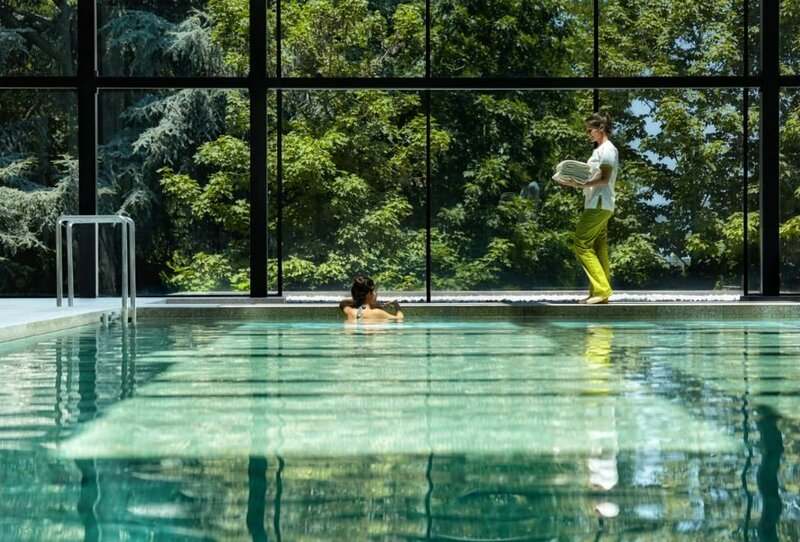 Starting with the suggested accommodation in the Bussaco Palace Hotel, where you can be a Guest at the Palace of the Portuguese Kings, an authentic royal fairy tale romantic palace, stunning in its decorative Manueline-Gothic architecture and set in the heart of the glorious Bussaco National Park, a vast green botanical ocean and the closest you can be from visiting an enchanted forest. The Aliança Underground Museum is another must-see, where Wine and Art come together and you can taste top quality regional wines while regaling yourself with the eight different collections of the museum: archeology, ethnography, mineralogy, paleontology, tiles, ceramics and tin; covering the history of millions of years. Continuing with this historic adventure, you will have the chance to stroll in Conimbriga, the Ruins of the Roman city that gave rise to the name of the city of Coimbra, and to envision the everyday life of this great classic civilization. Conimbriga was the main roman city in Portugal which was inhabited between the fourth century B.C. 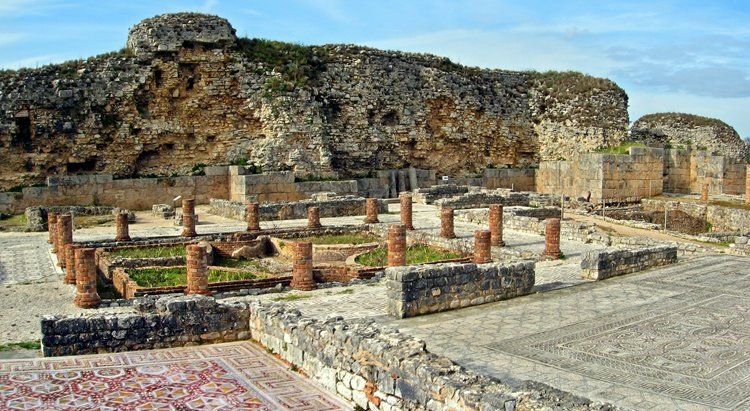 and the seventh and eight centuries A.D. and it is almost unreal to walk around and see the detailed and beautiful patterned floor work and the number of inner gardens and pools that used to exist in Roman mansions. 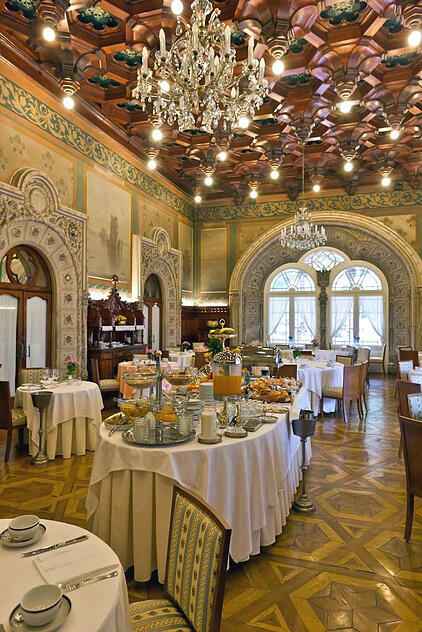 By the end of the day, and before imagining the huge Roman feasts you should be hungry and you are more than ready to enjoy a Tasting Menu in one of the most beautiful and renowned restaurants in Portugal, the João Vaz restaurant, located in the old feast hall of Braganças of the Bussaco Palace Hotel. 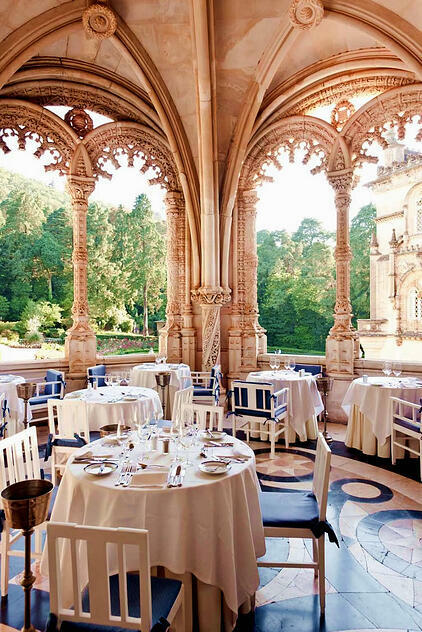 In a truly palatial atmosphere which emphasizes the magnificent frescoes of João Vaz (a talented Portuguese painter and professor), the beautiful Moorish ceiling, and the remarkable floor executed with exotic woods, or the royal gallery for a memorable lunch in a pleasant sunny day, which only the Bussaco has. 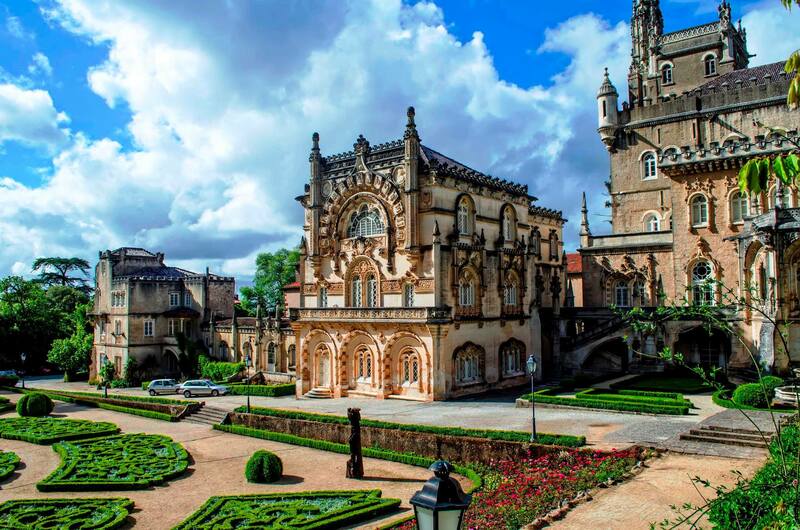 Here besides the Portuguese cuisine reinvented by the Chef Dionísio Ferreira, inspired by the well-known Escoffier, there are the legendary Bussaco Wines well-known all over the world. In the third day , the time travelling starts with a visit to Coimbra’s University where you might find some students dressed with its traditional black capes, that have been this way for centuries, since this university is home to the country’s oldest and most-prestigious university, and surely one of the oldest in europe. 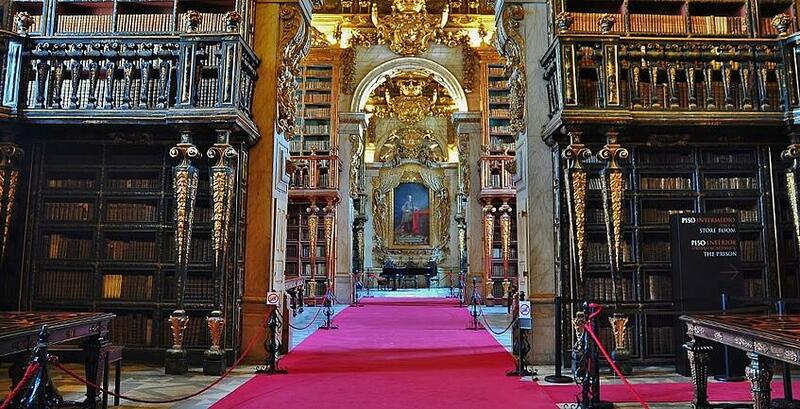 The unquestioned star of the university campus is the Joanina Library, a baroque masterpiece where hugely decorative wooden shelves climb towards the sky, and lavish ceiling paintings celebrate the wonders of human knowledge. The air is of a respectable place of learning rather than rowdy student town, but among the photogenic buildings and of the Mondego River' banks and the majestic cathedrals like the Old Cathedral from 1139 and the Santa Clara Monastery (where the conventual delicacy by the same name, we mentioned before, was invented) there are also fascinatingly alluring love stories like the one you will find and sense at Quinta das Lágrimas. 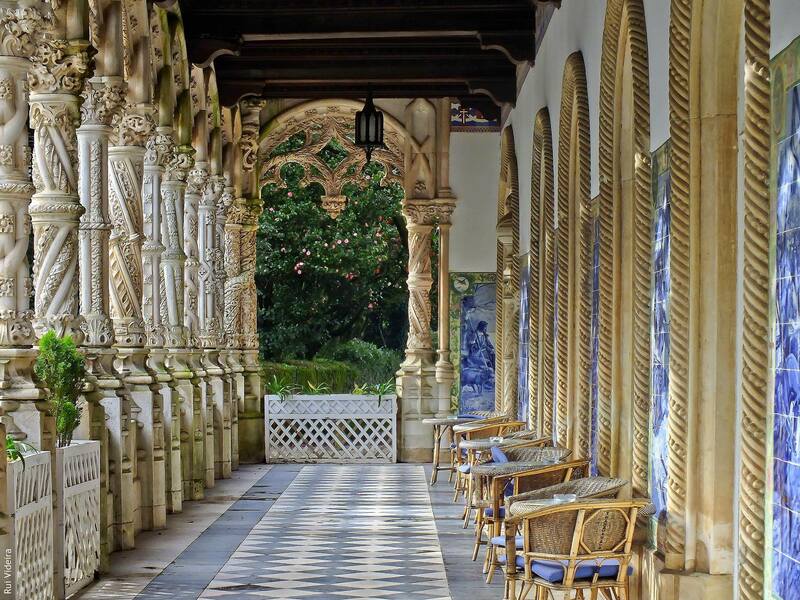 In this dreamlike estate you will feel like a witness of the legendary love between the, at the time, crown heir, Prince Pedro and Inês de Castro, one of his soon to be wife's chaperone maids. The story of these two is unusual because Pedro loved Inês so much that he revenged her ordered murder and made her queen already after she was dead as soon as he ascended the throne! Portugal's own royal Romeo and Juliet! 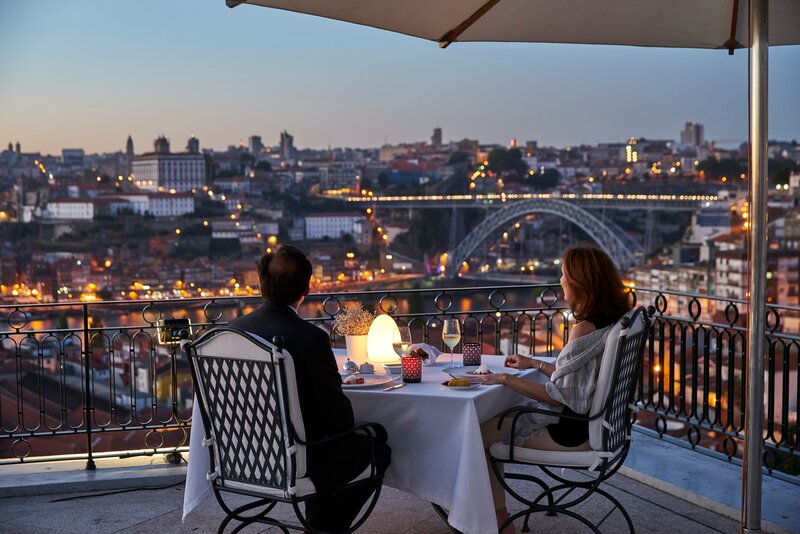 When this day ends you will be so moved by this love legend that having an excellent meal in the Arcadas restaurant, where the biggest jewel is the wine "Pedro & Inês" made with two traditional vine varieties of the region. Trust us, this striking experience will make you want to toast to the love of this famous brokenhearted couple, to all the love stories throughout the human history that did have a chance to just be, and to your own love! Because no matter the time period you are living at, you are only truly lucky in your existence when you find someone you love that really loves you back! 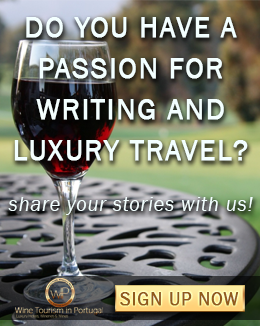 So what better opportunity to show your valentine that you are aware of how lucky you are for having someone like him or her in your life, than to take your love to have fun and travel trough time, love and legacy!